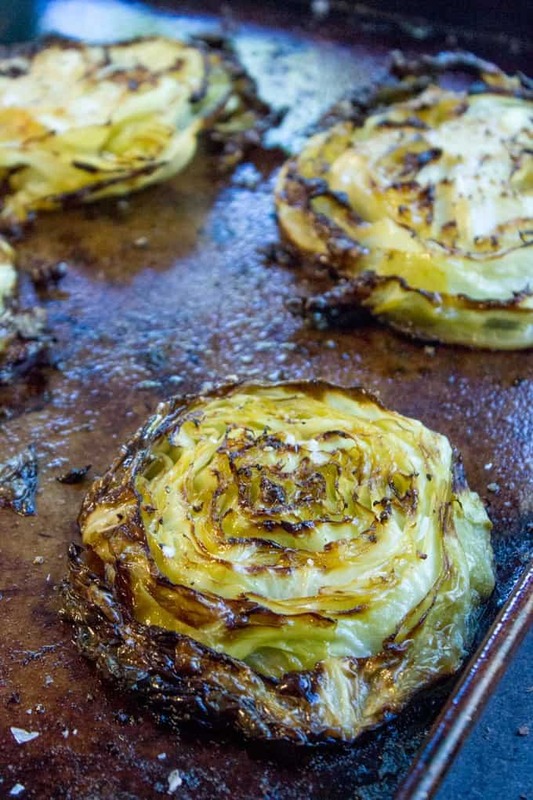 Crispy Roasted Cabbage Steaks make a great side dish for any meal (not just your favorite Corned Beef) in just 20 minutes. Crispy Roasted Cabbage Steaks may actually rival my Crispy Slow Cooker Corned Beef for my favorite part of the meal. Everything you love about roasted Brussels Sprouts are made even easier here with cabbage. No need to trim a whole bag of Brussels Sprouts when you just need to make a few cuts to a head of cabbage. Plus the presentation value of the cabbage steaks is great. For plating I usually either serve it as an intact steak, cut in half in a half circle (use a good spatula to lift intact) or using a fork to twirl it into a pasta-like pile of delicious-ness. Cabbage gets such a bad rap as far as vegetables go. Not a lot of people see it on menus and say “oooh let’s order a side of cabbage with our short ribs” but if you were to try this side dish, I promise…you’ll be a convert. In fact the first couple of times you make it you can even get away with taking one for the team and eating all those extra browned outside pieces… here’s a secret… They are the best part! They’re super crispy and delicious, and sometimes if I have a few extra minutes I let more of them crisp up. Ok fine, truth? Sometimes I snack on the outside rings and put the tray back in for a few more minutes to get more of them browned. And no one is ever the wiser. ? 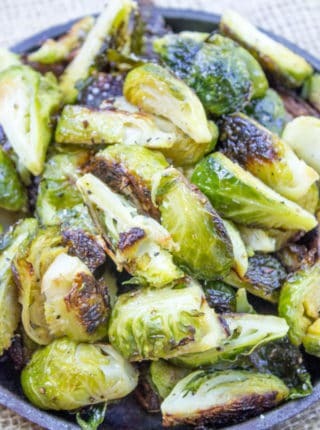 Pretty much anywhere you would otherwise enjoy Brussels Sprouts, feel confident in making this substitute. I’ve even gone ahead and added this cabbage to pasta dishes. It works great in place of napa cabbage in Asian noodle dishes too. The flavors are great, the texture is still soft in the middle and in steak form the cabbage stays in long noodle form so it is perfect for pasta. 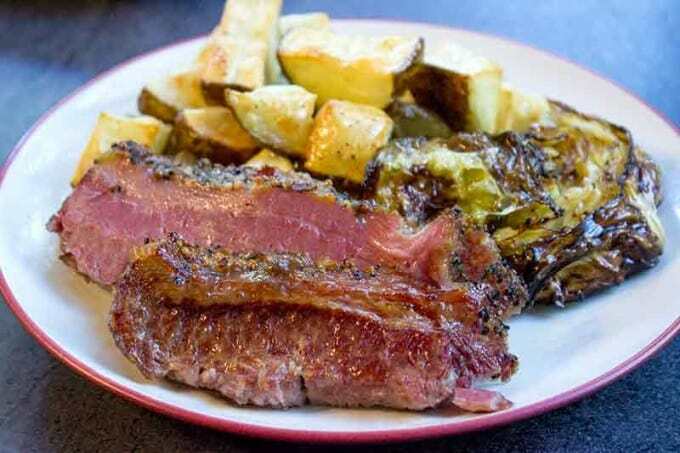 Now for a delicious Corned Beef and Crispy Roasted Cabbage Steaks plate of food. Crispy Roasted Cabbage Steaks make a great side dish for any meal (not just your favorite Corned Beef) in just 20 minutes. You'll never boil cabbage again. Brush with oil on both sides and place onto cookie sheet. Season to taste with Kosher salt and black pepper (I used 1 teaspoon Kosher salt, 1/2 teaspoon pepper). Roast for 17-20 minutes or until caramelized. I used real butter, melted, instead of the oil, and they turned out crispy and fantastic – thank you! Made this tonight and got a huge thumbs up. I was looking for a good base recipe for cabbage steaks and this was it. I made one slice per the exact recipe, but I did change it up a bit by adding a slather of cold bacon grease on the top in addition to the oil, and a slather of crushed garlic and sprinkled with parmesan cheese to the other slices. Also used cherrywood salt in addition to the kosher salt. Needed a bit longer to cook, approximately 10 more minutes, but it is definitely something I’ll be making again. That sounds amazing! Thanks for taking time to come back and let me know. I love cabbage…..and, I love colcannon. So I’m thinking of combining the roasted cabbage into my colcannon. Thank you so much for this recipe Sabrina!! 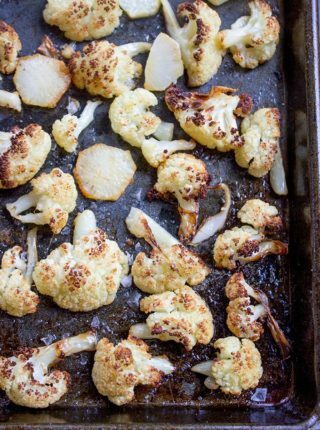 I roast cauliflower steaks but never thought to do the same with cabbage, brilliant!! Sounds like a perfect match! Enjoy! Tried this, good, but my friend & I just had to kick it up a notch, about half way through cooking we flipped the steaks and added garlic salt (to taste) and then parmesan/ cheddar cheese. Cook the rest. of the way. Yum! reheats nicely too! Fantastic! I’m so glad you enjoyed it. Thanks for the 5 stars. 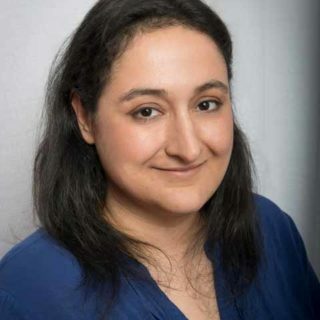 Hi, Sabrina love your site. It’s definitely my go to. I’m not a vegan or vegetarian, but I do love my veggies. When I saw those roasted, caramelized cabbage slices, wanted run to the store…but I just had surgery and am not allowed to drive. but SOMEBODY is going to get me some cabbage. Thanks for posting. I hope you enjoy them and have a quick recovery! Sabrina, Will it matter if one would use either olive oil or even coconut oil if they cant use canola oil on this cabbage recipe???? I thank you for all the awesome recipes you share with us!!!! For myself, one that isn’t so good with spices and their amounts in trying to figure out recipes, I am really grateful for this blog, for the time and talent you give us.. God bless You! Have a joyful day! I’m so glad you’re enjoying the site. 🙂 I would use olive oil as a substitute with the recipe. 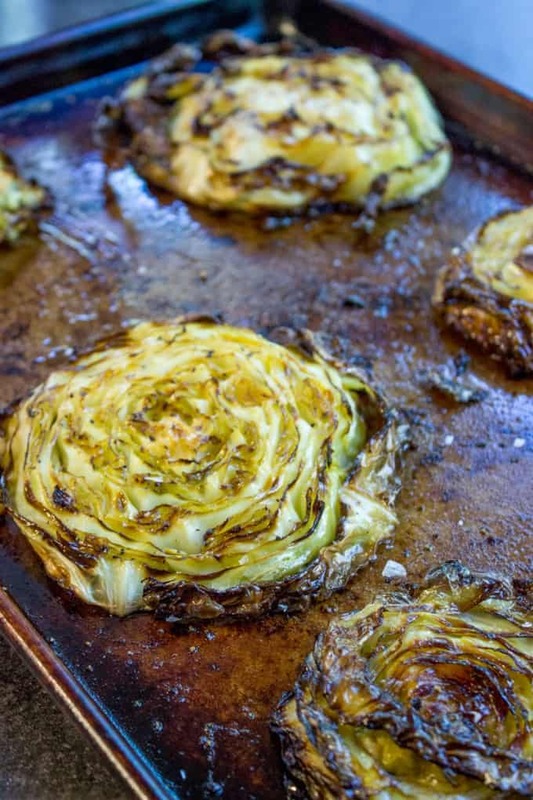 I just can’t get over how wonderful these Crispy Roasted Cabbage Steaks are. Thank you again for sharing your recipes. I cooked them last night and I was so amazed that they always turn out the right way. Thank you. Fantastic! I’m so glad you enjoyed them! I needed to broil the cabbage for a couple minutes at the end, though in the past when I have made these the smaller the cabbage the better, at least in my experience. I did use olive oil instead of canola, so perhaps that impacted the char in a negative way. This was a big hit in our home! I substituted real butter for the oil and I added real bacon bits, diced cherry grape tomatoes, and parmesan cheese on top of the cabbage before I put in the oven!! They were DELICIOUS!!! This was delicious! We switched up spices a bit, used chipotle garlic, montreal steak, mrs dash and as of now chipotle garlic is our favorite! 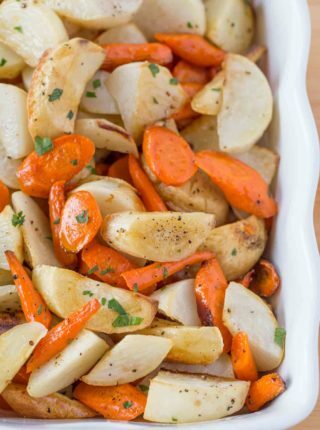 So happy to find this recipe because the variations are endless! I’m so glad you enjoyed it, Julie! I was just browsing the web to find something to do with my cabbage and I hit the jackpot. You were right, I will never boil cabbage again. The cabbage steaks cooked the way you said it would. Everybody loved it. Thank you so much. You’re welcome, Chris! So glad you all enjoyed it! Does this work with spray oil? I haven’t tried it so I don’t see why not. If you decide to try, I’d love to know how it turns out. do you know how many net carbs? This now is my new go-to veggie. Made it first time last night. I enjoyed it so much I made it again for lunch today. My dinner consisted of the roasted cabbage, Louisville cut spareribs, sweet potato casserole and hot fruit bake. Yum, yum. My guests loved it….raved about it. I rate the cabbage at the very top of the scale. Thanks for sharing that recipe. We tried the roasted cabbage steaks last evening along with our corned beef and carrots. They were delicious. We had to bake it for about 15 minutes longer than advised, but I believe it was because it was sliced thicker than suggested. It did not brown too much and was yummy all the way through. It was a perfect time to find this recipe because a few friends gave us a cabbage from their home garden. Great!!! You’re right. The charred pieces are the bomb!! I flipped mine over at about 6 minutes. Adapting tonight and adding some sliced yellow squash to cook along side. Might even add a some onion. 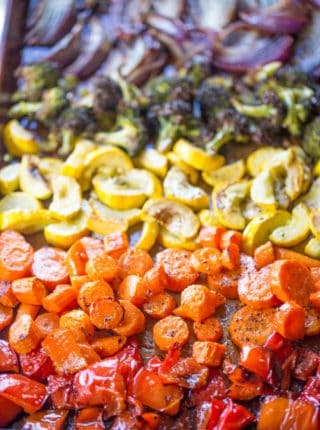 LOVE the roasted veggies and your recipe is a great starting point. Thank you! Aren’t they the best?!? Thanks for dropping by to let me know how much you enjoyed it! Thanks for another great recipe!! I made it yesterday with your Crispy Slow Cooker Corned Beef. Both were fantastic! I’ll definitely be making both again and I’ll be making the cabbage as a side to complement other dishes as well. Made this for Saint Patrick’s Day. Amazing. This will be the way I’m making cabbage from now on. We made these last night and they were delicious. Sprinkled the top with caraway and celery seeds and roasted for 30 minutes, broiled at the end. This recipe is a keeper! So tasty! Next time I’m adding white pepper to pair it with a Korean-style chicken dish. That sounds delicious! Thank you for the 5 stars, Sarah! Love these so much! I had a bit of a hard time getting them to brown,but still amazing. I also added a bit of minced garlic to mine. Ssssooooo good!!! Thank you so much Kalyne! I really appreciate the 5 star rating!! You’re right – I’ll never want to eat cabbage any other way!! I tried to flip them half way through, but they pretty much fell apart. Didn’t look as pretty as yours, but they were delicious! Thanks! Thanks so much for coming back to let me know how much you loved it! Thanks for the pin! Enjoy!! Did you mean to say slice in 1/2 inch slices or is it 1 1/2 inch slices? This seems very thick to me but I haven’t tried it yet. Thank you for asking as recipe still says ‘1 1/2 inches’. Making these for dinner tonight! This was fabulous! Although after 25 minutes it wasn’t really browning, so I put it on broil for 3 minutes. Thanks for sharing! So glad you enjoyed it! I love the broiler for final browning too! Thanks, Whitney! It really is super easy and delicious! Enjoy! 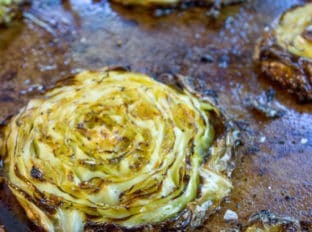 Thanks for posting this recipe for cabbage steaks, I’ve not tried them but have heard only rave reviews from those who have. Thanks to this post, I now have a recipe for them!